Around 17,000 respondents across the world took part in the Global Energy Talent Index. 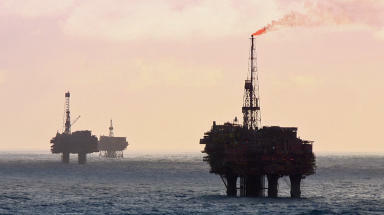 The Oil and gas industry is facing an impending skills crisis, according to a global survey. Around 17,000 respondents across the world took part in the Global Energy Talent Index that found 40% believed a skills crisis already existed in the sector and 28% expecting the situation to 'take hold' within the next five years. Nearly half said they were worried about an impending skills crisis. The report by Airswift and Energy Jobline highlights the decision by companies to cut graduate schemes, apprenticeships and training during the downturn as reasons for the shortage. The report said: "Historically, the flow of talent in and out of the oil and gas sector has correlated with the economic cycle. "When the oil price went up, companies could lean on generous pay to bring back veterans or attract graduates. "During the latest downturn, many oil and gas firms pulled back on university recruitment, graduate schemes and apprenticeships. "In most cases, these programmes ground to a halt. The influx of young talent into the sector slowed." It suggested engineering students were being attracted towards technology firms with 42% of respondents saying they would consider a move to renewable sector in the next three years. Dr Alix Thom, Oil and Gas UK's workforce engagement and skills manager, said: "This interesting report shows how different sectors of the energy industry share similar challenges when recruiting skilled people. "We know that there could be up to 10,000 new roles required in our industry in exciting new areas of data science, analytics and advanced materials development. "As industry gears up to deliver Vision 2035, aiming to extend the productive life of the UK North Sea and expand supply chain growth, we know that our pioneering industry will continue to offer many exciting and fulfilling opportunities for many years to come." Meanwhile a separate survey suggests confidence in the sector has increased almost four-fold in the past two years. The Outlook Report from DNV GL said 71% of UK firms were confident about the year ahead, compared with 18% in 2017. It also said nearly two-thirds of companies expect to increase or maintain capital expenditure in 2019.